Boss The Scent's Private Accord for Her is a oriental-gourmand version of the original, signed by perfumer Louise Turner, announced as luxurious and sensual scent with a darker facets. Available as a 30, 50 and 100 ml Eau de Parfum. 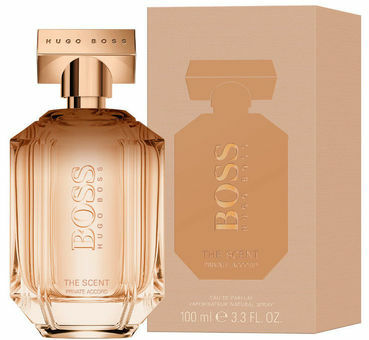 Boss The Scent Private Accord for Her was launched in 2018.